Royal Navy Commander Iain Breckenridge leaves the inquest in Southampton after giving evidence into the death of Lt Cdr Ian Molyneux. Police investigating a naval rating shooting dead an officer on board a submarine were so alarmed by the crew’s binge drinking that the chief constable was informed and he then contacted military authorities, an inquest has heard. Detective Superintendent Tony Harris interviewed the crew aboard HMS Astute following the shooting of Lieutenant Commander Ian Molyneux by Able Seaman Ryan Donovan, who was 76% above the drink-drive limit. The hearing in Southampton was told the officer was “highly alarmed” by the crew’s alcohol consumption and he wrote to the Hampshire chief constable, Alex Marshall, with his concerns. His boss then contacted Brigadier Neil Baverstock. After talking to the crew, detectives concluded that Donovan’s drink intake was not out of the ordinary. The hearing previously heard he had drunk 20 pints of cider and lager, cocktails and double vodkas in the 48 hours before he was put on a guard duty with a gun. Richard Wilkinson, counsel for Lt Cdr Molyneux’s family, told the hearing police found significant numbers of the crew were involved in getting “drunk out of their minds”. “Detective Superintendent Tony Harris was highly alarmed at the alcohol consumption of the Astute’s crew and he took the unprecedented action of writing to the chief constable. “It was normal practice for the crew of the boat to drink heavily while on shore leave, consuming alcohol over an extended period until they passed out and then returned to duty after five or six hours,” he told the hearing. 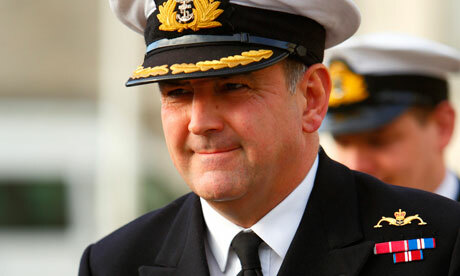 The Royal Navy has since tightened its rules on alcohol consumption before duty. At the time sailors were allowed 10 units in the previous 24 hours with no alcohol in the 10 hours before duty, which has been changed to five units. Wilkinson asked the nuclear-powered sub’s captain at the time, Commander Iain Breckenbridge, whether he had any concerns about his crew drinking ashore during the goodwill visit to Southampton in April 2011 when the killing and the shooting of another officer took place. He told the inquest he had been told of no concerns about the crew and he had no concerns about Donovan before the shootings and he was surprised to hear of the police’s fears of binge drinking by the crew. This entry was posted in UK Submarines and tagged HMS Astute, Inquest, Shooting on January 9, 2013 by jasonlockley.